John Tanner was born October 9, 1869 in Henderson County where he grew up working on a farm and going to school in Comanche. 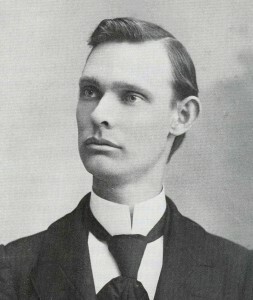 He graduated from Baylor in 1890 and acquired his master’s in 1892 while already being added to the faculty. Coming from a lower class family, Tanner managed to pay his tuition by doing chore work for a local doctor. Tanner also attended the University of Chicago and the Southwestern Baptist Theological Seminary. Briefly, Tanner worked as the pastor of a Baptist Church in Harrisburg, Kentucky and by all accounts, his leadership there was phenomenal. Following was W.B. Glass’s speech. The full length of the speeches were truly touching and a copy of them is available at our lodge.